Abiding Abbess of Green Gulch Farm Furyu Schroeder comments on Right Speech. Q: What is the Buddhist precept on right speech? Fu Schroeder: There are several of them: A disciple of Buddha does not lie, does not praise self at the expense of others, and does not slander. Q: Does right speech refer only to verbal communication? F.S. : I think it’s much broader than that. “Speech” includes all auditory and visual symbols that potentially have meaning. It includes all such expressions intended either to communicate or to obfuscate communication. Intention is the key word here, and the primary intention of a Buddhist practitioner is for the benefit of others. Right speech includes emails, digital and online postings, and all other forms of written communication. We also “talk” with our faces. Humans read each other’s faces very well. And we also communicate with our gestures. Q: Distorting the truth, at least in little ways, seems to be ingrained in our culture. F.S. : Telling the truth for a lot of people is really kind of a shocking idea because they’re used to all these little white lies. I certainly felt that way: “Oh, I don’t want to hurt their feelings,” or, “I’m late. I better make up a good excuse.” That’s kind of standard behavior, and to stop doing that runs against how most of us think we should behave. That’s the little stuff. For me, the big, painful awakening when I was young was to understand that politicians and religious figures—people I had been trained to respect and admire—were intentionally lying. Even the “good people” were being deceptive to achieve particular outcomes. This whole system of lying violates the precept to practice right speech in my view. The Buddha saw that self-clinging—including clinging to our ideas, our reputations, our goals, and to cultural norms—is the cause of suffering. He taught that our joy comes from what we offer to others from a place of wisdom, compassion, and honesty. This was true even in the Buddha’s time, or else he wouldn’t have included right speech in the precepts. I think that not lying is the pivot for the entire set of precepts. Telling the truth, being honest to me is the core of the practice because right there you’ve got tremendous safety in all directions. “I will tell the truth to the best of my ability.” For me, that’s where all the real relationships of my life are taking place and that’s where all the real conversations take place. I’m not calculating what I’m going to say for some desired outcome. Q: Today’s polarized, volatile political climate seems to present special challenges for those of us who want to practice right speech. This seems to be especially true in the digital world. F.S. : When our deeply held values and convictions are threatened and challenged, we naturally want to stand up for what we believe is just and true. And we want to protect friends and others who are targeted by hateful speech and actions. On Facebook, Twitter and other social media there’s an especially strong impulse—an expectation, really—to react passionately and immediately. As practitioners of the Buddhist path, we vow to express ourselves without creating even greater suffering. We are committed to not hating. The truth is that when we express ourselves aggressively, we add more aggression to the human condition, regardless of the validity of our point of view. The first step is to push the pause button and ask: “Am I calming the situation or inflaming it?” Most of us find calm in our sitting practice. With great compassion and without judging ourselves, we step out of our story to observe our anger, fear, or other strong negative emotions, and to feel our physical sensations. We refrain from acting until we’re in the state of calm, abiding presence we call samatha. It’s just the respiration, inhaling and exhaling. In this way, our fierce attachment to “how things should be” softens. Awareness, kindness, and creativity arise. We may then find ourselves able to join even the most difficult conversations and show up as a true ally for others with disarming clarity, non-violence, and open-heartedness. This is not an easy thing to do. It goes against all our conditioning. Yet it is the way to shift our consciousness and to take the first steps toward breaking the endless cycles of hostile speech and harmful actions. It’s a very alive process of being in contact with our own energetic field, really knowing the difference between when I’m angry and when I’m passionate, which requires discernment. Q: Does it really make a difference whether any one individual practices right speech? F.S. Thich Nhat Hạnh taught at San Francisco Zen Center years ago, and he said something I’ve always remembered. When boats crowded with Vietnamese refugees ran into fierce storms or pirates, if everyone panicked then everyone was lost. But if even one person on the boat remained calm, that person showed the way for everyone to survive. It’s the same thing with speech. If you’re committed to the Buddhist path and your intention is to benefit all beings, then you’re going to make every effort to practice right speech. When you live in alignment with the precepts, that’s when you find freedom. It’s paradoxical to the instincts that are embedded in our human DNA toward self-love and self-preoccupation. But your joy will come from what you offer to others. Buddha’s teachings may be centuries old, but they resonate more than ever in today’s fast-paced and painfully polarized world. 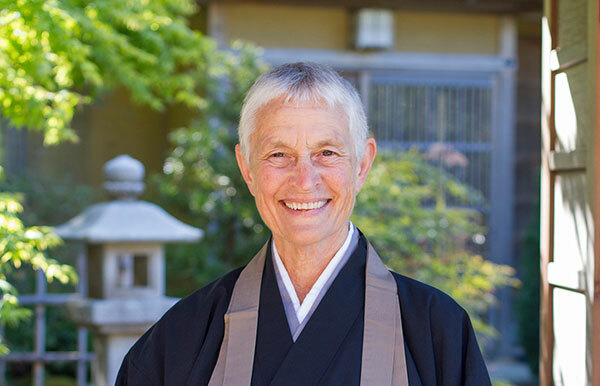 This is why it’s important for San Francisco Zen Center to continue being a place of refuge and nourishment, where newcomers and longtime practitioners can come to learn and be together as a community. Please consider supporting our efforts in this season of giving.